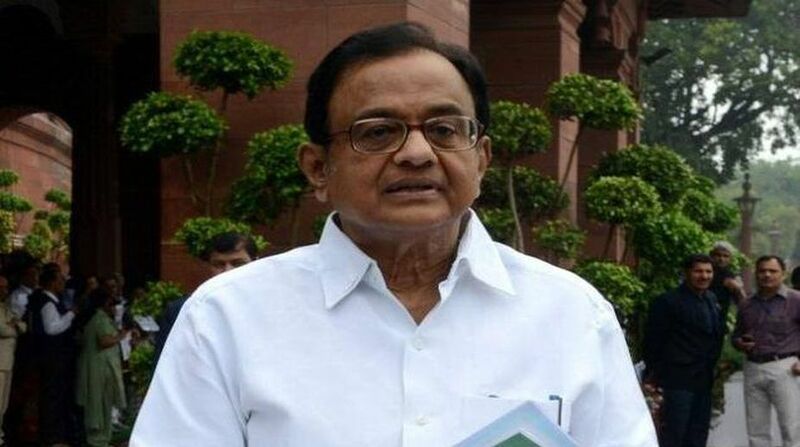 In an apparent attack on Union Minister Arun Jaitley, former Finance Minister P Chidambaram on Saturday said that the allegation that “jehadists and Maoists” have earned the sympathy of Congress chief Rahul Gandhi is “laughable and absurd” adding that the party is “stoutly opposed” to the two groups. The allegation that jehadists and Maoists have earned the sympathy of Rahul Gandhi is laughable and absurd. Congress is stoutly opposed to the two groups. Who can forget that Congress practically lost its entire leadership in Chhattisgarh to Maoist violence? “Under UPA, the government fought the jehadists in J-K and brought down the level of violence substantially,” he added in another tweet. On Friday, Jaitley had said while “jehadis and Maoists” were threatening the rights of citizens, human rights organisations “taken over by the ultra-left” never spoke of this. In a Facebook post, he had alleged that even though the Congress historically and ideologically would have been opposed to these groups, they have earned sympathy in Congress chief Rahul Gandhi’s heart. Hitting out at Congress and human rights groups, Jaitley had written that dealing with terrorists who refuse to surrender is not “muscular policy” but a law and order issue which cannot wait for political solution. Following the imposition of the Governor’s rule in Jammu & Kashmir, Congress leaders had expressed fears that it might result in return of the ‘muscular policy’ to deal with the Kashmir problem. “At times we get caught in the idioms that we create. One such phrase is “muscular policy in Kashmir”. To deal with a killer is also a law and order issue. It can’t wait a political solution. “A fidayeen is willing to die. He is also willing to kill. Should he be dealt with by offering Satyagraha before him? When he advances to kill, should the security forces that confront him, ask him to sit on a table and have dialogue with them? Jaitley raised the question in his Facebook post. The Union Minister, who underwent kidney replacement in May and is yet to rejoin his office, in his blog had said that the terrorists and the jehadis were threatening the human rights of the citizens in Jammu and Kashmir. Jaitley’s comments come days after BJP pulled out of an alliance with PDP in J&K, leading to imposition of the Governor’s rule in the state.